The Kiss ESC cable set from flyduino provides all the wiring and parts needed for 4 ESCs. 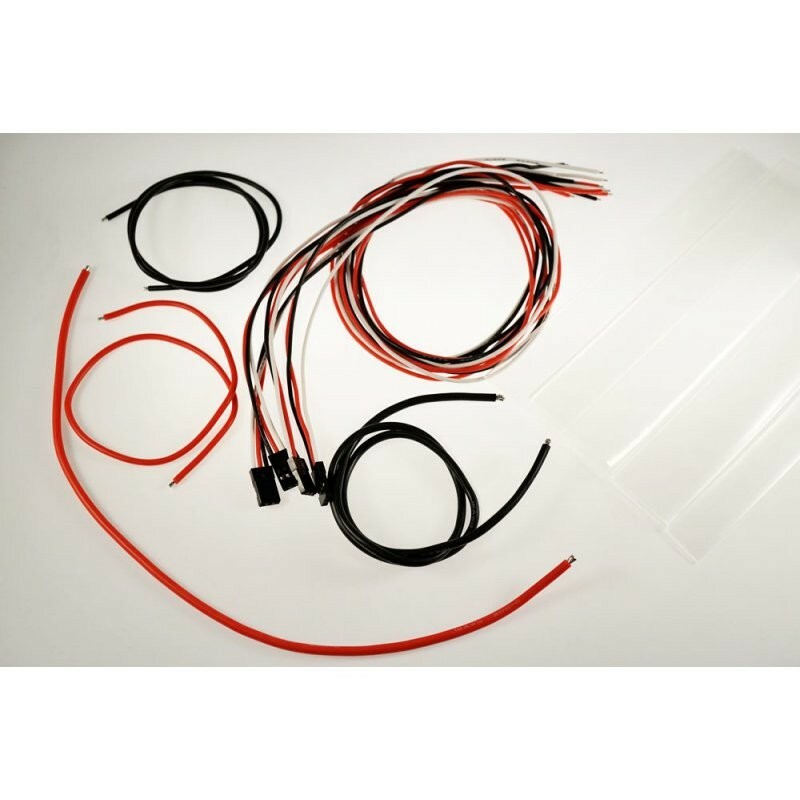 The Kiss ESC cable set includes all of the cabling and heat-shrink needed to wire up and protect up to 4 ESCs. It is suitable for the KISS ESC 18 Amp, KISS ESC 24 Amp Race Edition 32bit 2-5S v1.01 and the KISS ESC 30 Amp 2-6S.